As of the latest figures, the portal has a total registered base of over B2B 1650 users who deal in the stock on a highly regular basis. Moreover, TextileStock.in boasts of a wholesale buyer base of more than 650, which is rather impressive considering the fact that the company has just started the operations a few years back. TextileStock.in takes great pride in helping its patrons sell their surplus stocklots outside India and has managed to help the suppliers to sell merchandise worth Rs. 40 to 50 crores. 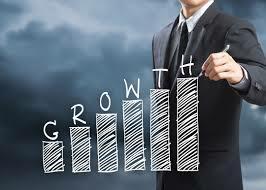 Even in terms of profitability, the organisation has proved it mettle by breaking even in a short span of time, which is more than an achievement, especially given the fact that the entire concept of B2B export of surplus stock is fairly new to the Indian sub-continent. In order to ensure that both selling as well as buying stocklots from the portal is highly efficient, both with respect to time and the process involved, TextileStock.in has employed a very simple yet highly effective transport cycle which is evident from the infomatics below. Also in a short span of time www.textilestock.in has helped numerous exporters across India selling their surplus goods from India and from international locations worldwide. Moreover textilestock.in has received lot of appreciation from exporters & vendors nationwide for following a very transparent and honest buying procedure in which they get paid first before goods are delivered to textilestock obviously after thorough checking of goods by textilestock.in’s staff. 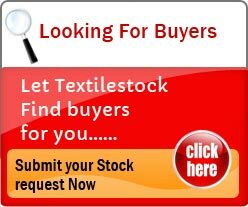 On the buyer side also www.textilestock.in follows a transparent process in which independent inspection agencies are involved in verifying the quality and authenticity of the merchandize on buyer’s behalf apart from www.textilestock.in ‘s own QC team . Do check out www.textilestock.in if you have any stock/surplus goods in which you need their help for free or want to buy any stock/surplus goods.